It’s 4-H Fair Time in Putnam! A 70-year-old former Brewster resident is facing charges of capital murder in both Connecticut and Massachusetts for allegedly killing his wife and daughter 19 years ago. New York State Police Troop K Major Robin Benziger announced the arrest Wednes… Please login below or purchase a subscription to the Putnam County Courier to access this content. A swimmer is rendered unconscious by a blow to the head in this drill. Lifeguards swim to aid the young woman and immobilize her in the water before bringing her back to shore. Thirty lifeguards teamed up with emergency responders from the Lake Carme… Please login below or purchase a subscription to the Putnam County Courier to access this content. A dog described as a “large male pit bull terrier” attacked a Mahopac couple Sunday afternoon, necessitating emergency treatment at Putnam Hospital Center. Carmel Police received a 9-1-1 dispatch from an apartment complex at 945 South La… Please login below or purchase a subscription to the Putnam County Courier to access this content. 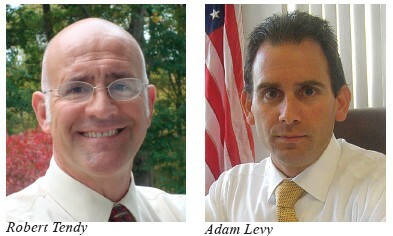 Putnam Valley Supervisor Robert Tendy realizes that name recognition is critically important in any political race. The seven-year chief executive of one of the county’s smaller towns announced his candidacy Wednesday, 17 months ahead of time,… Please login below or purchase a subscription to the Putnam County Courier to access this content. 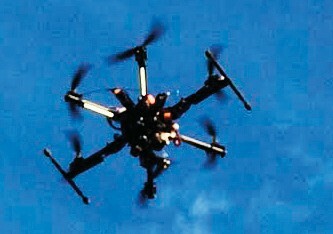 Maloney has remained quiet in the midst of the controversy caused by this drone used for personal reasons at his wedding. Challenger Nan Hayworth was highly critical. The Federal Aviation Administration is now conducting an investigation into U.S. Re… Please login below or purchase a subscription to the Putnam County Courier to access this content. 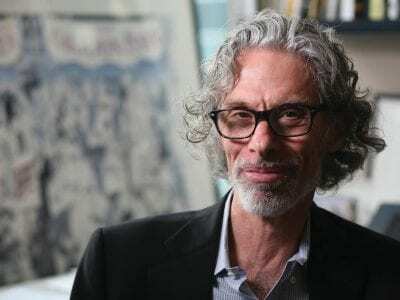 Bob Mankoff presented his new cartoon book to an enthusiastic East Fishkill crowd. It could’ve doubled as a stand-up gig with the consistent eruptions of laughter pouring out of East Fishkill Community Library Thursday evening, during Bob Mankoff’s b… Please login below or purchase a subscription to the Putnam County Courier to access this content. An 18-wheeler filled with several tons of frozen chicken jackknifed and overturned on an entrance ramp to I-84 Monday. The truck, bound for Dutchess County from New Jersey, was headed northbound along I-684 and, according to Somers State Police, the… Please login below or purchase a subscription to the Putnam County Courier to access this content. As early as next January 1, the use of polystyrene foam disposable food service containers sold by chain food service establishments may be a thing of the past in Putnam County. Discussion on the prohibition of the white insulated material took plac… Please login below or purchase a subscription to the Putnam County Courier to access this content. QSY Society Amateur Radio Club’s August meeting will be held Tuesday evening, August 5, at the East Fishkill Community Library. The QSY Society welcomes Ray Higgins W2RE and Lee Imber WW2DX, North America World Radiosport Team championship co… Please login below or purchase a subscription to the Putnam County Courier to access this content.